The 40th annual Pink Palace Crafts fair is three days of artisan demonstrations (in everything from candle and soap making, tatting and metalworking), kids' activities, eating and shopping at booths featuring the work of artists and craftsmen from around the country. Proceeds benefit the Pink Palace Museum. Pack a jacket and maybe – just maybe – an umbrella before you head to Mud Island to see the Avett Brothers tonight. If you've never heard of the Brothers, here's what's up: they are actually brothers and they play the sort of folky indie pop that's kind of blown up lately. They'll be at Mud Island Amphitheatre on Oct. 12 for an all-ages outdoor show. 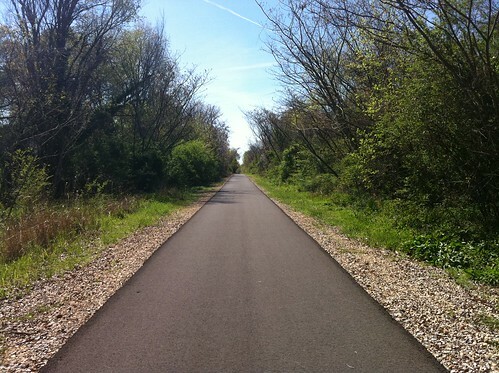 The Greenline, that amazing paved trail that runs from Midtown to Shelby Farms, is turning two this year. To celebrate, Shelby Farms is hosting a day of bands, bike riding and block parties in the neighborhoods that touch the trail. Raise high your sample mugs, drinkers – the Cooper-Young Regional Beerfest is returning to the parking lot next to the church formerly known as LifeLink on Oct. 13, 2012. Sample beers from out of town, beers made locally and beers made in people's houses. This should go without saying, but you can't buy a ticket unless you're 21. Stax legend Booker T. Jones is joining the Memphis Symphony Orchestra for a special weekend of performances of Stax classics. They'll be joined in in the performance by students from the Stax Academy and Soulsville Charter School. If none of these events slice your toast, check the calendar for a ton more. Whatever you're doing this weekend, I hope you have an amazing time. You forgot The Color Run.